The Party Wall Surveying Team at ABBEY has Graham Holden as its primary party wall surveyor, and he is fully supported by a skilled and capable team of Building Surveyors and Administrators to ensure that the specific requirements of the Party Wall etc Act 1996 are followed. Graham is an active and qualified member of the Faculty of Party Wall Surveyors and listed in the Pyramus and Thisbe National Register of Party Wall Surveyors for England and Wales. 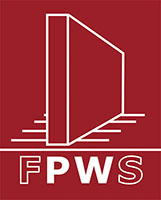 The Party Wall etc Act 1996 is a small but complex piece of legislation that has applied across England and Wales since July 1997, but it is important to recognise that the Act can apply on the simplest of Kitchen extensions and right up to the construction of multi-million city centre developments.